Elegant House of Troy Grand Piano Counterbalance Lamp. Polished Brass with a Black Marble column. 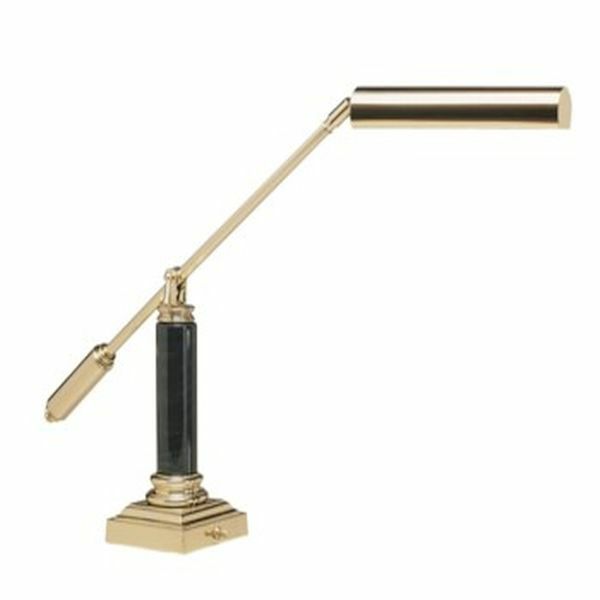 This exquisite lamp sits on either side of your grand piano music desk and the counterbalance arm places the shade directly above the music. HEIGHT....Adjusts from 5" to 22"
(14" from End of Handle to Clutch & 18" to the Shade) SHADE....10"
Exactly as expected and depicted. Came quickly. Priced right. What else is there to say.